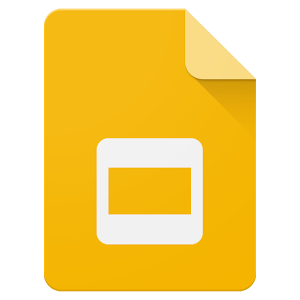 Google Slides is very similar to Microsoft PowerPoint. It lets your create a slide show with text, images, charts, graphs, various backgrounds, slide transitions and more. If you want to share your slides with a classmate or a teacher, it's easy! Remember - Think about who you are sharing your Slides with before you share it. Also consider whether or not you want that person to be able to just view your Slides or to be able to Edit it. When you first open Google Slides, you start with a "title" slide. You can use the template given or change it (see below). To add a slide, click on the plus sign on the top left of your screen. It looks like this: If you click on the small arrow next to the plus sign, you can select what style of slide you would like. If you want to delete a slide, simply click on the slide on the left hand side of your screen and hit the "delete" button on your keyboard. 4. If you want to select an image, choose the option you want (options are discussed in the box on the right), find the picture, and then click on "select"